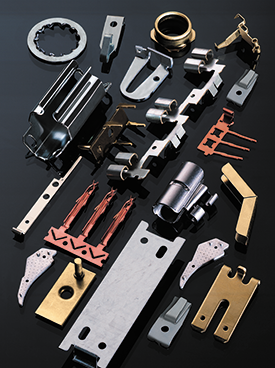 Meier manufactures high-precision metal stampings and subassemblies for the aerospace/defense and custom electronics industries. 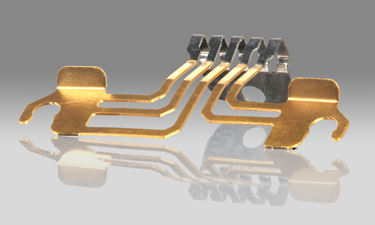 We excel at developing lower-cost solutions to complex and micro-sized design challenges our customers face. We support our customers with comprehensive design assistance, prototype services and manufacturing capabilities throughout the product lifecycle from concept to high-volume production. Since the company was founded in 1979, Meier has worked continuously with aerospace and defense customers on a wide range of precision components, including stamped critical-to-function parts for aerospace/defense and custom electronics businesses. Meier brings an in-depth understanding of the latest technologies to ensure on time delivery and to provide significant cost savings, allowing our clients to come in at, or under, a contract bid. We maximize our efficiency by minimizing lead time and ensuring our standards incorporate closer tolerances than other companies that focus on “realistic’” quality. Our lean manufacturing procedures and extensive experience offer unparalleled quality micro mission-critical parts for the aerospace and defense industry and beyond. Meier’s engineering experts offer consultation on material strength and quality, meeting the exact standards for the finished product. We will analyze the prototype and CAD blueprinting to mitigate the challenges of over-specified product designs or documents. 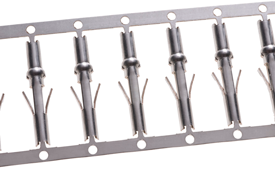 This cuts wasteful material costs and manufacturing delays throughout the product lifecycle, resulting in uncompromised precise stamped parts. 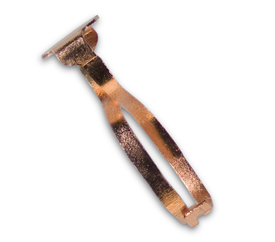 Whether your requirements are simple clips or critical-to-function products with complex geometries and complicated subassemblies, Meier has the expertise to meet your needs. Our production and manufacturing processes can guarantee a ready-to-implement stamped subassembly that maintains budget and high-quality standards agreed upon at the onset of the project.